The 2019 FREIHOFER’S SARATOGA JAZZ FESTIVAL -- slated for Saturday, June 29 and Sunday, June 30 at the Saratoga Performing Arts Center -- will feature George Benson, Norah Jones, Trombone Shorty & Orleans Avenue, Kandace Springs, and Los Van Van, headlining this year’s legendary festival. NEW YORK CITY BALLET’s residency (July 16 – 20) features four distinct programs including an evening dedicated to Tchaikovsky and Balanchine, a program showcasing three SPAC Premieres by 21st century choreographers, and the stunning story ballet Coppélia. The annual New York City Ballet Gala, on Saturday, July 20, will celebrate “Apollo & The Muses,” inspired by George Balanchine’s Apollo. 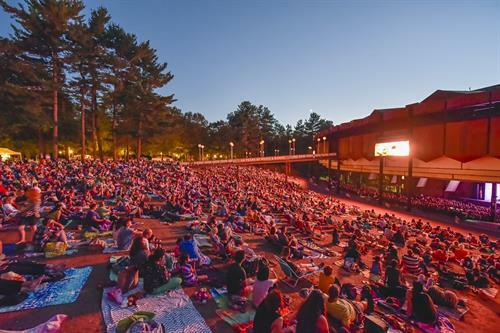 THE PHILADELPHIA ORCHESTRA’S residency (August 4 – 20) will be highlighted by 19 SPAC premieres ranging from classical masterpieces to innovative contemporary compositions, marking a record number of pieces that have never before been performed at SPAC. Back by popular demand will be SPAC’s “Cinema Series,” which will delight audiences of all ages. The season will also showcase two weeks under the baton of Yannick Nézet-Séguin, Music Director of both The Philadelphia Orchestra and The Metropolitan Opera. THE CHAMBER MUSIC SOCIETY OF LINCOLN CENTER returns (August 4 - 20), taking audiences at the Spa Little Theatre on a musical journey with six programs designed specifically for the SPAC Residency of 23 works never before been performed by CMS at SPAC.